It's the most distant body ever spotted orbiting the Sun. 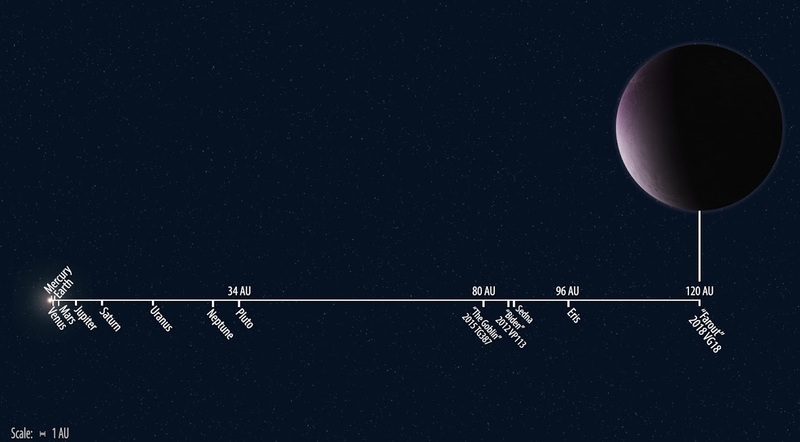 The tiny planet is called 2018 VG18 — later nicknamed “Farout” by the team that discovered it — and it’s about 3.5 as far away as Pluto, some 18 billion kilometers (11.2 billion miles) away. That’s more than 100 times the distance between the Earth and the Sun — and about the same distance as Voyager 2, the NASA probe that launched in 1977 and reached interstellar space this month. So far, Farout is still deeply mysterious. But one aspect already attracting scientific interest is its unusual orbit. 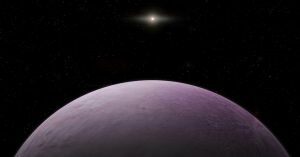 Farout orbits at an unusual angle, along with other so-called “trans-Neptunian objects.” There’s been a lot of speculation in recent years about what might be causing those astronomical bodies’ unusual trajectory. One of the most popular explanations is the possible existence of a ninth planet, or Planet X. In fact, the astronomers discovered Farout while searching for the existence of a ninth planet, according to the statement. Most recent data suggests it could also be a group of objects within the same gravitational field. The discovery shows that even though researchers are now routinely finding planets orbiting other stars, there are still planet-sized undiscovered objects in our own solar system. It really goes to show how much there still is to learn about our relatively small corner of the galaxy.